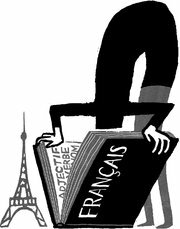 A letter writer in today's New York Times, who in criticizing my op-ed of last week, writes, "It's not surprising that William Alexander hasn't succeeded in learning French to the point where he can converse with a 3-year-old." I couldn't agree more! And thanks, NYT, for a great sketch! "The Decline of French Cuisine" - Sound Familiar? 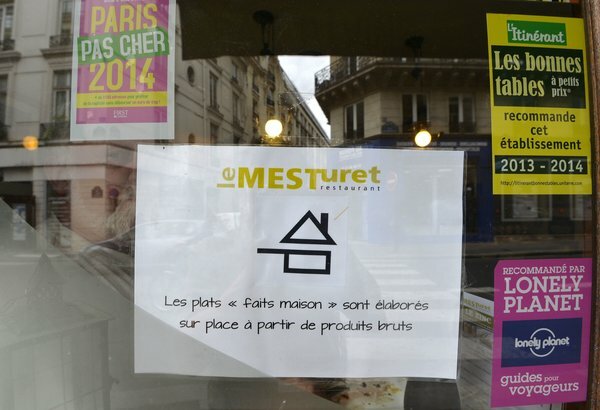 Mark Bittman has a depressing column in today's New York Times about the sad decline of French food, and the attempt of the government to rectify the situation by coming up with with a fait maison (made in-house, or homemade) sticker logo to promote restaurants featuring homemade food. Unfortunately, the way the regulations are written, McDonalds (as popular in France as in the US) could nearly qualify for it. A couple of thoughts: First of all, let's not scare off prospective tourists with the notion that all French food is precooked, reheated, and just plain lousy. To be sure, there's a lot of that around, but there is still outstanding food to be had. You just need to be a little discerning in your choice. One of the best meals I had in France was at a small inn in the countryside, when foie gras terrine, pigeon, and duck was prepared by the owner - nothing frozen or artificial there. Secondly, this story sounds oddly familiar. We've already seen this happen with bread in France. After World War II, the prized French baguette was replaced with cheaply made, quickly-risen loaf that tasted like cotton -- if it had any taste at all. Yet in recent years, a new generation of bakers has brought back the old, artisianal loaf, which may in fact be better than the old loaf ever was, and lines once again form at Paris's best boulangeries. So, there is hope, but it's the younger generation that's going to have to make it happen. And right now, you can find most of them lined up at "McDoo." What a week - first, my Vous/Tu chart in the LA Times goes viral (although I am worried that Le Monde has picked it up -- lord, what have I done to Franco-American relations! 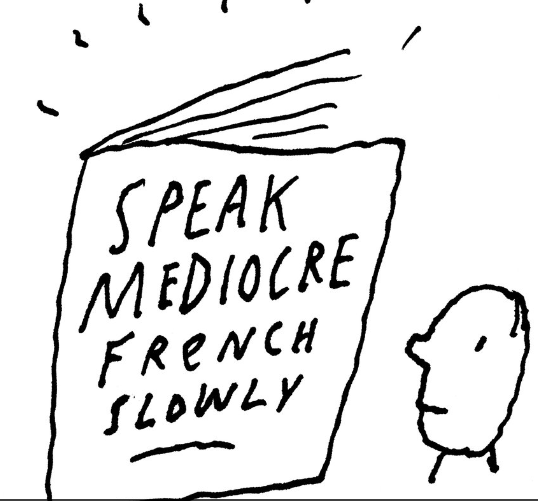 ), and today the NY Times has published by op-ed on the the benefits of failing at French. You can read the Times piece here. 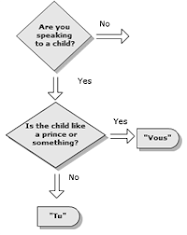 LA Times Op-Ed on 'Vous" and "Tu" Goes Almost-Infectious! The good folks at the LA Times tell me that my Guide to Vous and Tu that they published on Sunday has gone, well, if not quite viral, at least infectious. Like a bad head cold. Enjoy the full chart here, while you still can.